Today’s newsletter deals with the all too human concept of complacency and its effects on the bodybuilding world. Let me ask you, what is the biggest day in any gym on the planet? Monday night! Why? Because it is chest and biceps day and the gym looks like your favorite mall on Black Friday; for no good reason mind you, since muscles do not have a calendar except that Flex magazine says so. By the same token, is leg day as popular? Not quite and it shows in the abundance of flamingos in gym America. The reason being is that most people are reasonably strong regarding chest and biceps plus those are very important clubbing muscles. As for the chicken legs, that’s what they invented board shorts for! My point here is that most trainees get comfortable with their program, once they have a decent level of performance and they look good in front their buddies doing said program. Any new exercises/program will probably not bring instant mastery, you might even fail a few times, but this will lay the foundation for further gains. Since you have been reading my rants for a while you are obviously not opposed to change; but don’t just change things for the sake of change, set up a challenge that is meaningful for you. Arnold had weak calves which why his early photos were often taken from the waist up. One day he decided to change things, he cut off all his pants and moved to South Africa to train with Reg Park and the result – 18 inch calves. In my very own, much less glamorous case, it is/was my arms that are lagging behind my less than perfect physique. So to change that I outsourced my training and diet (yes, I have a coach and I advise anyone to do the same as we are never honest with ourselves). The added accountability created instant progress – 1/2 inch gained! 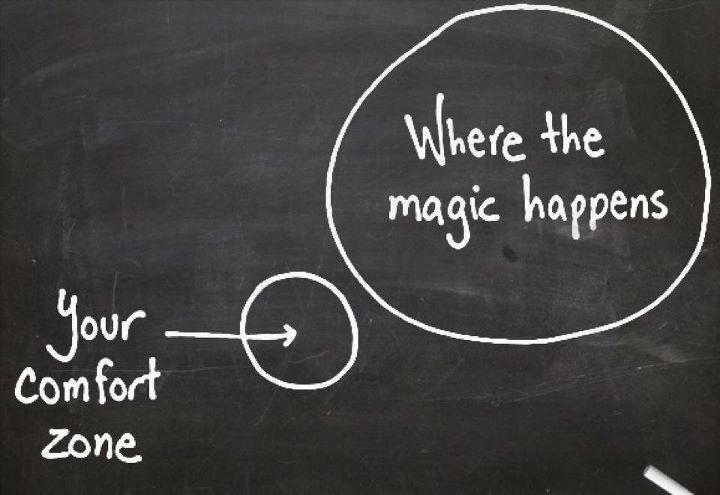 So do yourself a favor and leave your comfort zone! Previous post: THE GLUTEN FREE CRAZE – WILL COOLER MINDS PREVAIL?